2) "…I remain firmly of the view that Greece’s debt has become unsustainable and that Greece cannot restore debt sustainability solely through actions on its own. Thus, it is equally critical …that Greece’s European partners make concrete commitments in the context of the first review of the ESM program to provide significant debt relief, well beyond what has been considered so far." 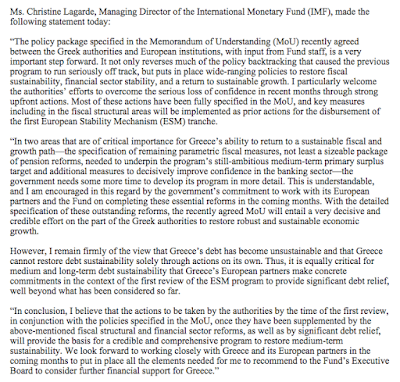 In simple terms, for all the lingo pouring out of the Eurogroup tonight, Greece has not been fixed, its debt remains unsustainable for now and the IMF - which ESM Regling said tonight will be expected to chip into the Bailout 3.0 later this autumn - is still unsatisfied with the programme. 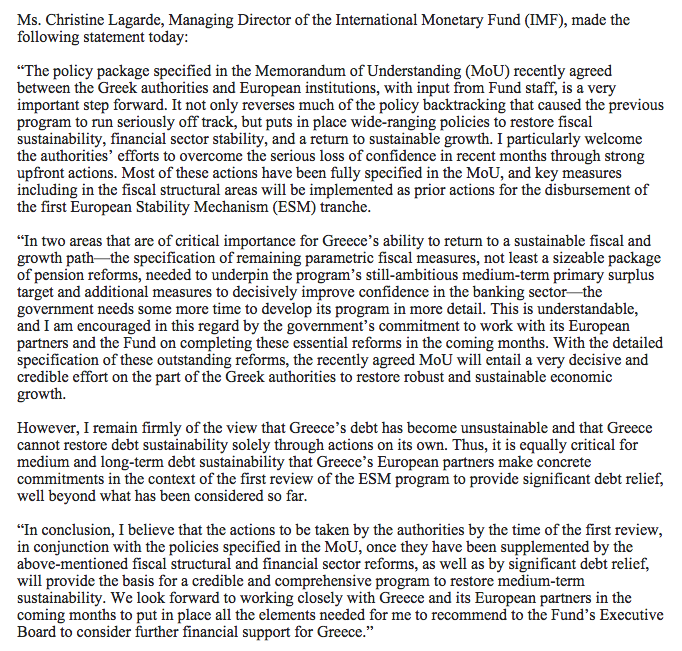 "Significant debt relief" - off the table so far per Eurogroup - is still IMF's default setting.